Your readers will be interested in this recent news about the Green Party in England and Wales. I am particularly excited about the way in which the Green Party there meets the challenge of effective leadership. 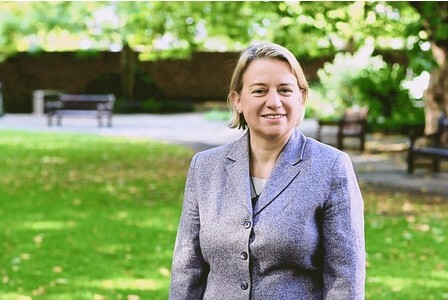 Natalie Bennett has been elected as the new leader of the Green Party for England and Wales. In her acceptance address, she said Green Party offers a ‘different kind of economy.’ The Australian-born journalist beat three other candidates to the position in a poll of Green Party members. The new leader takes over from Caroline Lucas who was elected as the Greens’ first MP in 2010 and remains the most high-profile figure in the party. Ms Lucas stood down to focus on her duties as an MP and “give other people the opportunity to get well known.” Ms Bennett has worked for a number of publications and is a former editor of Guardian Weekly, which she left to focus on writing and politics. She defeated three other candidates – Peter Cranie, Romayne Phoenix and Pippa Bartolotti – in a vote of just over 3,000 English and Welsh Green Party members. In her acceptance speech, she said she was “deeply honoured” to be given the responsibility to lead the party and stood because she believed in its “radical vision” for Britain’s future. “It offers, I think, the only viable way forward for British people, for the world.” She said she wanted to see a more localised economy with more UK manufacturing and support for farmers, adding that the financial industry needed to be “reined in” to avoid another crash. “We need to not have the disastrous, economically illiterate cuts that we’re seeing now. What we need to have is investment in the future in energy conservation, renewable energy and public transport.” Ms. Bennett said the party needed to grow its number of councillors and MEPs and secure “many, many more MPs” in Parliament. She has unsuccessfully stood twice for council seats in north London and got 2.7% of the vote when she contested Holborn and St Pancras at the 2010 general election. Ms. Bennett will get the opportunity to address grassroots members at the party’s conference this weekend in Bristol. The party has elections every two years for the leader and deputy leader roles. The new deputy, who under party rules must be a different gender to the leader, is Will Duckworth. In 2012, Mr. Duckworth became the party’s first councillor in Dudley. This is the third election since the party decided to switch from having principal speakers to having a leader and deputy leader. Here are the vote totals.